Springbank? Speyside? No, Speyburn! 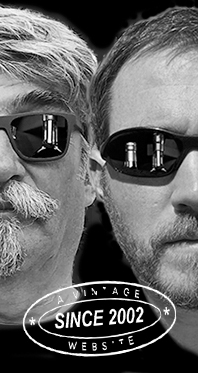 A malt whisky that’s sometimes Warholian and sometimes rather Beefheartian. Remember the good Captain’s Trout Mask Replica? Although a trout and a salmon are different fish (a tad exhausted these days, S.?) 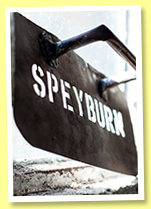 Respect for Speyburn! I have to say I’ve never tried the official 15 before. Colour: pale gold. Nose: leafier than the official 10, grassier, with even more raw barley, green tea leaves, grapeseed oil, some kind of greener plasticine, clay… Something clearly musty as well, the potato pit… etc. I find it really austere, but this rusticity’s pretty interesting. Unusual for sure. Mouth: rather sweeter and rounder, but all the leafy elements are still sitting there in the shadows. Vanilla-ed porridge, leather, bitter oranges, green tea, hints of spinach and sorrel… Good body at a good strength. Finish: rather long, rather on spices. Green spices, naturally, cardamom, a touch of mustard… Comments: serious whisky, perhaps a tad unsexy at times but at least it feels very honest, which I like. Sorry, not much data yet, this one’s brand new. But we just couldn’t wait, indie Speyburns being quite scarce… Bottling code is ‘OLD0577’. Colour: straw. Nose: oh, an almost exact copy of the OB, with just a little more oomph and even more grass. Mouth: same comments, word for word. There was a wee roundness in the OB (after all) that is nowhere to be found in this grassy DL. Touches of lemon oil, perhaps, plus perhaps notes of fresh almonds and hazelnuts. Now it does tend to unfold a wee bit over a five minutes period, with some pleasant citrusy touches, rather peels. Finish: medium, lemony, some grapefruit, grass… Comments: you need to give it time. Actually, the OB needs time too.